A good quality of life is often directly related to a good quality of natural light. Bright, fresh, natural light an essential component of a happy healthy lifestyle. With your smart home cinema and multiroom lighting in place what’s the smart way to best manage your natural light? And not just good for lighting. Great for temperature control. Great for privacy too. And security. Smart Blinds that can either be installed or retrofitted as Roller, Roman, Pleated, Awnings, Blackout, Roof and Bi-Fold and require no distracting and potentially dangerous pull cords. Quick and easy to install smart blinds need no rewiring or redecorating. Simply a case of attaching wall brackets, securing the motor and fabric in place and off you go. How do Smart Blinds work? Whilst wireless motorized window shades might seem like the stuff of science fiction they’re a standard part of any integrated home automation setup. Like Home cinema or multiroom sound or lighting. Light – protect the contents of your home from the damaging effects of direct sunlight. A small window mounted sensor can be set to automatically raise and lower your blinds to save the contents of your home from the harmful effects of UV exposure. Time – Imagine, from darkness to morning sunlight flooding into your bedroom without even having to get out of bed – like a natural, happy, healthy alarm clock. Or automatic sundown privacy and the security benefits of your blinds opening and closing… even when you’re not at home. Temperature – Smart blinds use the sun’s energy to control room temperature. Open until your room reaches the desired temperature your blinds automatically lower to avoid overheating. What are the quality of Smart Blinds? 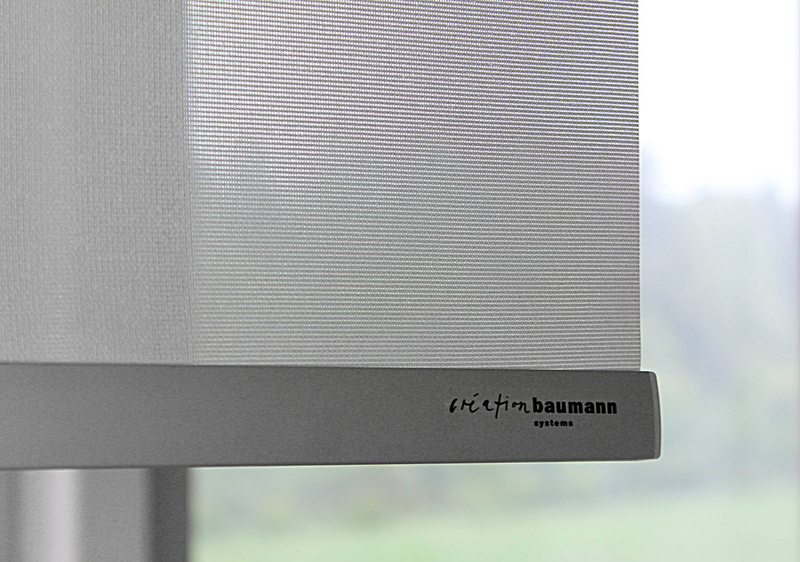 A mature technology there are numerous options now available from numerous Smart Blind providers, including well known names as Qmotion, Somfy, Création Baumann, Lutron and Ultra Smart. Blackout blinds, battery and mains powered blinds, made to measure blinds using amazing modern roller fabrics and designs or even retrofitted, the choice of options is as wide as the quality is proven. Talk with an Smart Home expert for all the latest information and options. Are Smart Blinds right for me? If you like light, adore dark and would like the best of both effortlessly woven into your lifestyle then Smart Blinds are a smart choice. Or you may spend chunks of time away and at the same time want to protect the contents of your home from the ravages of direct sunlight and the ambitions of burglars. Again Smart Blinds are the perfect option. Take control of your light. And take our advice for the very best ways to do it. You’ll be in awning of our recommendations… they’re blinding.